U.S. 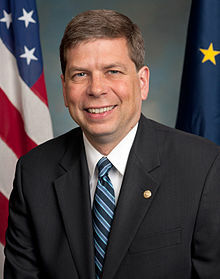 Senator Mark Begich (D-AK) introduced his three-point plan to strengthen Social Security today at a roundtable discussion with Alaska organizations that are likely to feel the effects of President Obama’s recent budget proposal to cut Social Security benefits. Replace the current system for calculating cost-of-living adjustments to more accurately reflect the cost-of-living for seniors. This would replace the consumer price index (CPI) for workers with a CPI-E, which reflects costs for seniors and would increase their benefits. Lift the cap on high-income contributions. Current law sets a cap on contributions for higher income earners; this year they quit paying when their wages hit $113,700. By phasing out this cap, which has essentially become a tax loophole, more people would pay into Social Security all year long. As a result, the solvency of the trust fund would be extended for about 75 years. Repeal provisions that unfairly penalize workers. The Windfall Elimination Provision and Government Pension Offset formulas currently used to calculate Social Security benefits penalize workers, especially many of Alaska’s public employees, who contributed to Social Security in past jobs but retire under other “non-covered” government pensions. This currently affects 10,200 Alaskans and can reduce their Social Security benefits by more than a half. Senator Begich proposes to repeal the provision in the Social Security Fairness of Act of 2013, which he will introduce next week. Begich also said he can’t support the so-called “chained CPI” proposal outlined in the President’s FY 2014 budget and championed in the past by many Republican lawmakers. Most chained CPI proposals hit low-income seniors and disabled Americans especially hard, he said. Invitees to the roundtable included representatives from the American Association for Retired People (AARP), American Federation of Labor and Congress of Industrial Organizations (AFL-CIO), and National Education Association – Alaska (NEA-Alaska) who discussed the merits of the proposal during an hour-long discussion at Steller Alternative School. I support your proposed three point plan to strengthen the Social Security Program. As a retired state employee and senior, I would like to see fairness restored to the existing program. Please add my name in support of your petition and proposed plan.